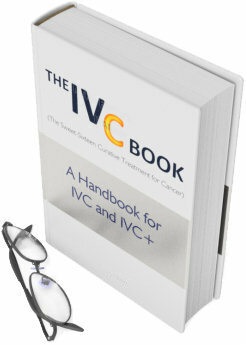 All of the proceeds of this book go towards funding research to help research and develop the more promising IVC technologies discussed in the book. For example, the “SuCCeED (Sustained Cancer Cell Energy Depletion) against Cancer” protocol, which is a low-dose / long-duration strategy, ie. IVC cell-soaking strategy (see here for details: http://cureforge.com/2017/11/17/) is supported by the proceeds of this book. We have dozens of more similar studies in the works. Did you know IVC is still in it's infancy? Not only is it one of the hot research fields for cancer and other maladies, but you'll want to know about the result of it's integrations with other cancer selective chemo-agents (eg. CBD, Curcuminoids, K3, DMSO, DCA, Bromelain, Oleuropein, etc). We are also doing ongoing research as described in the book. You'll want those results too. We'll only send what you request below and we won't share your email or information with anyone.